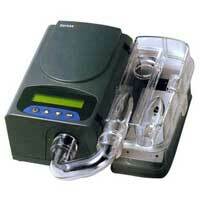 RD Gases is an established name in scientific equipment supplying industry. We are engaged in the supplying of Medical Gases, Medical Gas Cylinder, PAP Machine, etc. Sourced from trusted vendors, the equipment available with us the end result of blending cutting edge technology with innovation and experience. We ensure to procure excellent performing equipment, which are manufactured in accordance with various international quality standards. We have eased the customers by offering quality certification with the equipment supplied by us. The company has set the benchmark of success in the scientific equipment supplying industry with its ethical business policies and client centric approach. We have garnered a long list of satisfied clients that includes reputed hospitals and companies like Rajiv Gandhi Cancer Hospital, Pentamd Hospital, St.Stephens Hospita, Max Hospital, Sri Balaji Action Institute, Rameshwar Foods, Raja Bhujia, etc. Our esteemed patrons have shown complete faith in our policies and delivery services. We aim to nurture fruitful alliances with our valuable clients by satisfying them to the fullest.